This worksheet is a great drill for reading a ruler! 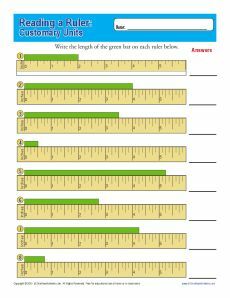 Your student will determine the lengths of the green bars in customary units. Included are bars in half and quarter increments. You'll find it great practice for Common Cores Standards for 2nd grade Measurement and Data, although other students may also find it helpful.